Valley View is an independent, non-profit health system based in Glenwood Springs, Colorado. 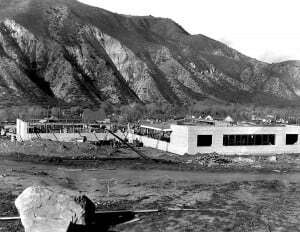 Valley View Hospital was built in 1955 with funds raised by the residents of Glenwood Springs and the surrounding communities. Federal funds dedicated to building rural hospitals matched the funds raised. Since that time, Valley View commitment to the health of our community has been a cornerstone of our organization. What was once a 22,000 square foot, single story hospital with 35-beds is now a thriving regional medical center with a 21-acre medical campus with 78 beds, including an additional 400,000 square feet of advanced hospital and medical offices. Our integrated network of physician practices, specialty centers and hospital provide multi-disciplinary care across the health spectrum. Valley View HealthCare, located in Eagle, Silt and Willits, make it easy for patients to get the care they need close to home. The availability of neurosurgery, a comprehensive cancer center, and interventional cardiology in our state-of-the-art cardiac catheterization laboratories and a renowned cancer center enables residents to stay local for both planned and emergent care. Valley View also attracts destination health visitors who recognize the significance of the healing atmosphere both Valley View and Glenwood Springs provide. Valley View is designated as a Planetree-affiliated facility, representing the highest level of achievement in person-centered care. Valley View has been recognized for performance excellence from Healthgrades, J.D. Power & Associates, Truven Health “Top 100 Hospitals”, Survey Vitals and Consumer Reports. To redefine healthcare for our community, always putting patients first, linking expertise, technology and service to provide care. Over sixty years later, that continues to be our goal. 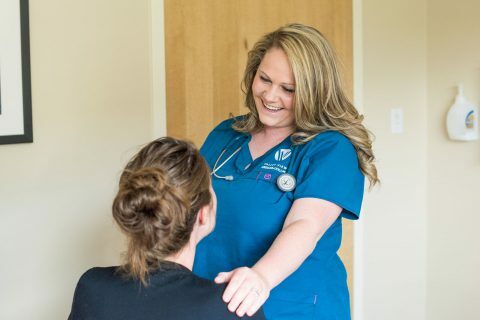 Our values — safety, respect, accountability, trust and teamwork — guide that mission every day and help us create excellence in a healthy, healing environment. Each of those values is part of our patient-centered approach to care. At Valley View, each staff member, physician and volunteer has taken the mission of patient-centered care to heart. 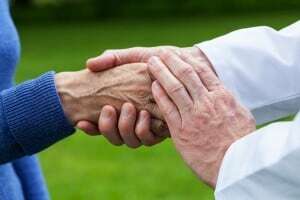 Decisions are made with the primary consideration of doing what’s right for the patient and their families, creating a collaborative partnership between caregivers and patients. Together, we will be the region’s healthcare provider of choice. Valley View Hospital has been recognized for performance excellence from the best of the best, including Healthgrades, J.D. Power & Associates, The Joint Commission, Truven Health “Top 100 Hospital,” and Consumer Reports. Valley View Hospital is also recognized as a Planetree Designated Patient-Centered Hospital. Valley View came to life because the community came together. In 1955, a passionate group of neighbors and friends came to believe that the kind of lives they lived in Western Colorado — independent, healthy, and strong — deserved the high-quality healthcare that was the sole domain of big cities with big hospitals. They knew they could make it happen here. And so from the beginning, Valley View Hospital was a not-for-profit institution, accountable to you, our neighbors. Our goal is to keep our surrounding communities healthy, and that’s a mission we tackle daily, one person at a time. We are dedicated to focusing on the health of our neighbors. That means we believe in respect, accountability, trust, and teamwork, and that those ideals together create excellence in a healthy, healing environment. Our Mission – To be the leader for excellence in personalized care and healing. Our Vision – The destination of choice for all who aspire to heal and be healed.